Neymar’s likely transfer to PSG clearly raises a number of FFP issues. UEFA’s FFP rules require club losses to be kept within E30m over a three-season period. Crucially for PSG, the test is retrospective and is based on the accounts for the three previous seasons. We should probably disregard the stories about Barcelona asking UEFA to carry out an immediate FFP investigation; for one thing, there is no facility within the rules for one club to lodge an appeal against a potential breach of the FFP rules by another club, before an FFP Break-Even test has been failed. We simply don’t know that PSG have made a large loss during 2015/16, 2016/17 and 2017/18 seasons combined; for one thing, the season 2017/18 hasn’t finished yet (It's not really started) and who knows what player trading, new sponsorship, ticket sales etc the club could rack up before next June to help them pass the test? Although logic suggests that they are never going to be able to make the FFP test if they sign Neymar – we don’t know for certain, so UEFA can’t do much… yet. The first time that PSG could be sanctioned is during the 2018/19 season (when the finances for the three previous season will be reviewed by UEFA). Some Media reports suggest that the c £198m fee for Neymar will be paid by a third party (and not by the club). If the fee were to be paid by the Qatar Tourist Authority for example, there would be some interesting implications. If the transaction took place entirely outside PSG accounts, the the purchase would not appear in the club accounts. However, that wouldn’t be the end of the story. UEFA have robust and comprehensive Related Party Transaction (RPT) rules to capture such a scenario. The transaction would be captured under the RPT rules and a fair value applied to the transaction (i.e. £198m). 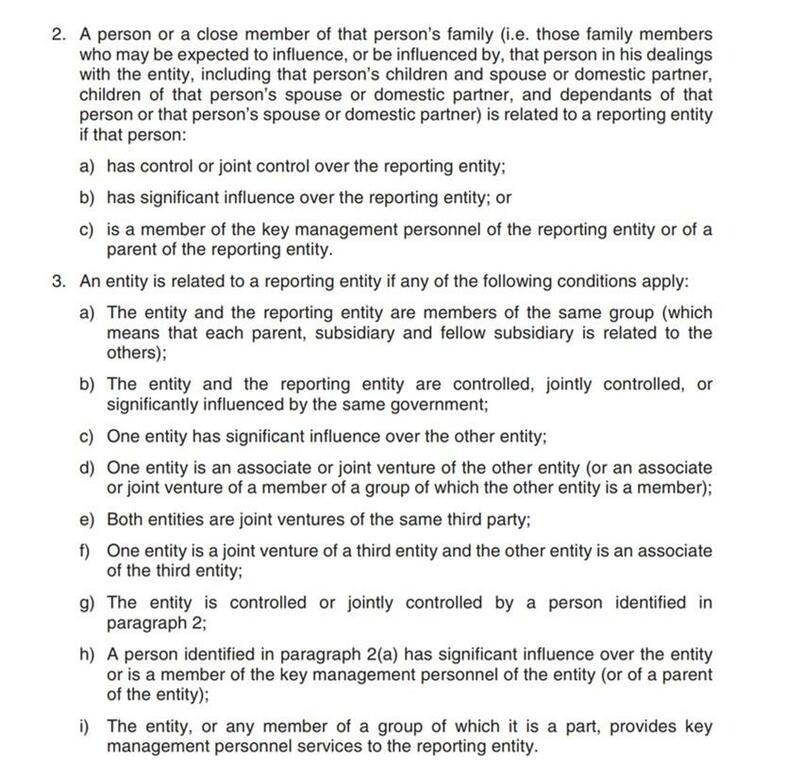 See extract of the rules: 3b seems to capture this scenario. Interestingly, if PSG purchase Neymar’s contract in the standard manner, the transfer fee would be ‘amortised’ over the life of the contract. So, assuming the term is 5 years, that would represent an expense of £40m in the accounts for each of the 5 years of the contract. Interestingly, if the contract fee were paid direct by QTA and not put through PSG accounts, then presumably there would be no amortisation in the club accounts. Consequently, the £198m fee would be included as a single amount in the FFP test that takes place in 2018/19 season (when the RPT is identified by UEFA and included in the FFP calculations). So, if QTA pay the fee and Neymar isn’t amortised, there is no way that the club will pass the 2018/19 FFP test; it is inconceivable that they could claim sufficient increased sponsorship to get them over the E30m maximum for the three seasons if there is a one-off £198m expense. For this reason (and owing to the Third Party ownership rules), I suspect the only way QTA could make this work would be to pay PSG around £70m a year as additional 'sponsorship'. PSG would then buy Neymar on a 5 year deal from Barcelona. That would result in £40m amortisation each year (assuming a 5 year deal), plus c£30m a year for wages. From an accounting perspective, he would cost around £70m a year (that's around £1.5m m for every game he plays). The increase in sponsorship from Qatar to support the Neymar transfer would be scrutinised closely and be viewed as an RPT that would have a fair value applied. Although UEFA wouldn't discount all the QTA £70m, they would exclude most of it; hence it would still be surprising if PSG could pass the Break Even test carried out in 2018/19 FFP. Of course the club will attract some additional genuine sponsorship and might be able to make some trading profit on player trading. However, the numbers look too big to plausibly achieve. It is interesting to ponder what sanction the club might receive when they fail the test. Although UEFA have made all efforts to help clubs get over the FFP Break Even line, and have been determined to avoid issuing harsh punishments, things could be different this time. PSG failed the Break Even test in 2014, and, although the punishment is now ‘spent’, it is hard to see them taking such a lenient line with the club for such second, flagrant transgression that has made a mockery of the rules and so angered Barcelona. Interestingly, although PSG are free to take part in the Champions League next season, UEFA have the power to annul a Champions League winners title (i.e. should they win the competition this season). The Break Even test will be carried out near the end of the next season (around the time of the semi-final) – at that time UEFA would also be able to eject them from the competition if they are still in it. Although both these scenarios might look unlikely, UEFA won’t be keen to allow PSG such an easy ride this time. Along with Death and Taxes, you can be certain that there will always be new set of Financial Fair Play rules to get your head around. This is actually my second attempt at explaining this season’s rules in the Championship – my effort to 23 December contained an error so I’ll start this one again. I am particularly grateful to Mike Thornton (twitter: @AdrianTeakdesk) for identifying the issue and for his input into this new article. It’s not a popular view but; all credit to FIFA. It must have taken some guts to investigate and then impose transfer bans on Real Madrid and Atletico Madrid for contravening their rules on signing players aged under 18. The rules are in place to prevent clubs from hoovering up young, mainly impoverished teenagers, then transporting them round the world in the hope a few of them can make a profit for the clubs and agents. OK, admittedly, the above headline has been deliberately created for maximum impact (and to make a point). However it is not with some validity - I will explain. During their promotion season, Leicester spent heavily (by Championship standards) on wages. When you exclude around £9.4m of bonuses paid for gaining promotion, their wage bill was just short of £27m (for comparison Derby’s last reported wages were £13.5m). For the current season (2015/16) there are two elements to the Premier League’s financial constraint regulations. The rules can be found within the 2015/2016 Premier League Handbook. The announcement that FFP rules are to be 'eased' has left both critics and supporters of the rules wondering what this means for the European football. QPR’s controversial accounts were released this week. As anyone following this story will be aware, the club recently announced profits via a vague Press Release which claimed that surprisingly low losses of just £9.7m had been made in 2013/14. A number of people raised questions about how this could have been achieved without some accounting ‘slight-of-hand’ (see my previous article). New spending constraint rules have been voted-in by Championship clubs. The new rules replace the term "Financial Fair Play" with the term 'Profit and Sustainability' and crucially do not come into effect until next season (2015/16). The actual vote was a close run thing with 6 clubs voting against the change (Ipswich and Charlton were amongst the clubs that voted against the new rules).